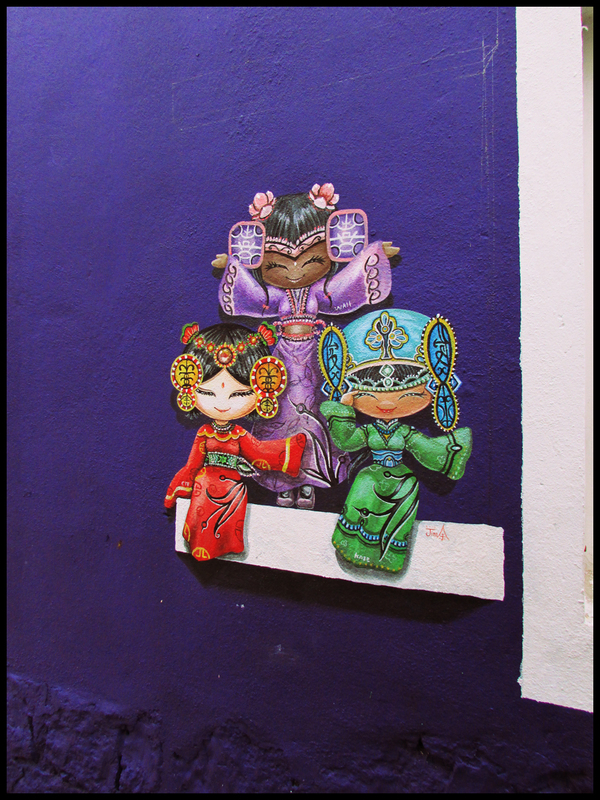 A mural caricature depicting three different girls in traditional costumes from the three primary races in Malaysia. 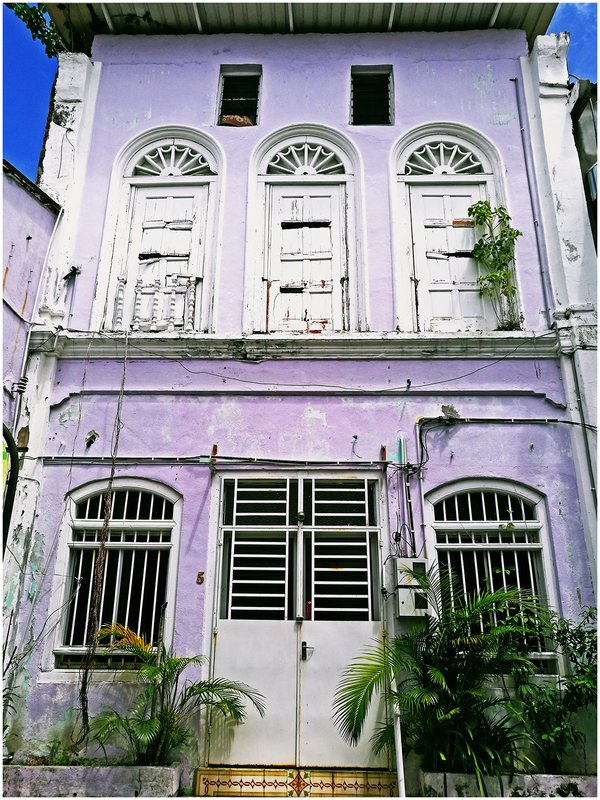 This art mural can be found at the purple-painted wall of a shophouse located along Armenian Street. The same wall faces the Soo Hong Lane and also houses another steel rod sculpture.